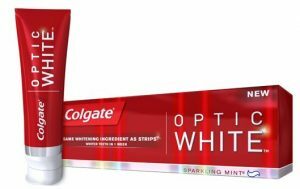 Colgate Optic White Toothpaste Moneymaker Deal! OMG! I have to do these moneymakers more often. We really like this toothpaste, too! Wow – that is a huge savings. I like to stock up when I can.